presented the program. The topic was answering the call to do a new thing in life, and many of us shared times in our lives when that has happened. berry soup. Funds were allocated for the “Adopt a Nurse” program, and plans were approved for fundraisers for this and other programs supported by Woman’s Society. The annual Treasurer’s report, prepared by Margaret Wentworth, was distributed. Woman’s society received $6980.18 and distributed $5017.50. The majority of funds were acquired through memorial donations, and the annual yard sale. Money, $2000.00, is in reserve for the new Meeting Room sound system. A silent auction will be held at the Meeting House at our next meeting on March 21. We will also be conducting an Easter Sunday Pie Sale. Please see separate article for details. Many of these funds will be earmarked for the Adopt-a-nurse program. Angie Reed requested and received support from Woman’s Society for our first intergenerational book discussion to be held on May 22. Please see related newsletter article. Kitsie Hildebrandt closed the meeting with a quote on peace. 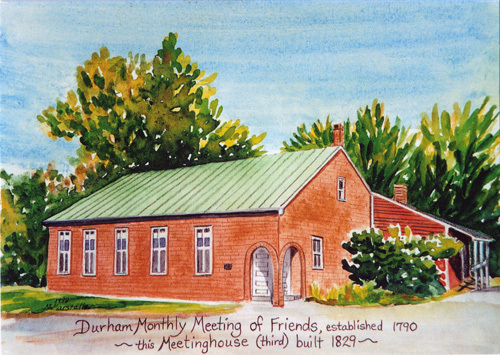 Our next meeting will be on March 21 at the Meeting House. All invited to attend. This entry was posted in Announcements, Committee Reports, Woman's Society News. Bookmark the permalink.